Loyd Grossman is the latest celebrity chef to do his bit for improving our food habits. Do you think that celebrities provide useful support for food initiatives and can help us make healthy choices? In recent years, famous faces have popped up all over food campaigns and I think that’s a very good thing. Don’t get me wrong, I’m not a big fan of celebrity culture in general. Buying a particular brand of soft drink because it’s endorsed by your favourite football player or pop star is a bit odd to me. What I do like to see is celebrities using their influence to help people, by being genuine role models and championing good causes. A recent example is Hugh’s Fish Fight. Celebrity chef and author of the River Cottage cookery books, Hugh Fearnley-Whittingstall, is championing the cause of protecting fish stocks and conserving the sea. He is using his authority as an advocate of eating sustainably to encourage the public to call for more marine protection, after successfully influencing EU policy on discarding dead fish in 2011. Hugh isn’t a megastar with an audience of hundreds of millions, but that doesn’t matter, because fans of his TV shows and cook books are likely to also be fans of sustainable food. He is seen as an expert and I feel that the cause of preserving fish stocks and habitats suits him, and his audience, very well. Celebrity chefs can also have a big influence on healthy eating. Jamie Oliver has not only campaigned to change food policies, but he has also targeted the general public in an effort to help people with poor diets. By helping people to break unhealthy eating habits and change the way they shop for food, millions of people could be influenced to make a change in their own lives. Celebrities possess power, in varying amounts, and I like to see celebrities using that power to inspire and help their fans. 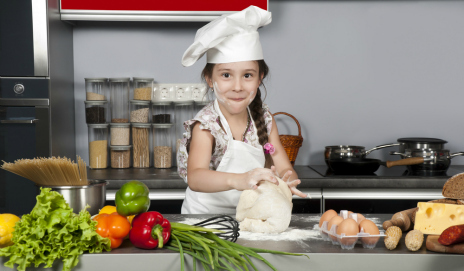 Are you a fan of celebrity chefs campaigning on food causes? Have you been influenced to change your eating habits by a celebrity? I’ve never been a particular fan of celebrity chefs in general, apart from Heston Blumenthal, of course! But I’m definitely happy to see celebrities using their celebrity for the forces of good. For example, Hugh Fearnley-Whittingstall’s documentaries on cruelty in the poultry industry opened the eyes of numerous people, while Jamie Oliver’s drive to improve school dinners was incredibly important and hopefully continues to make a difference.